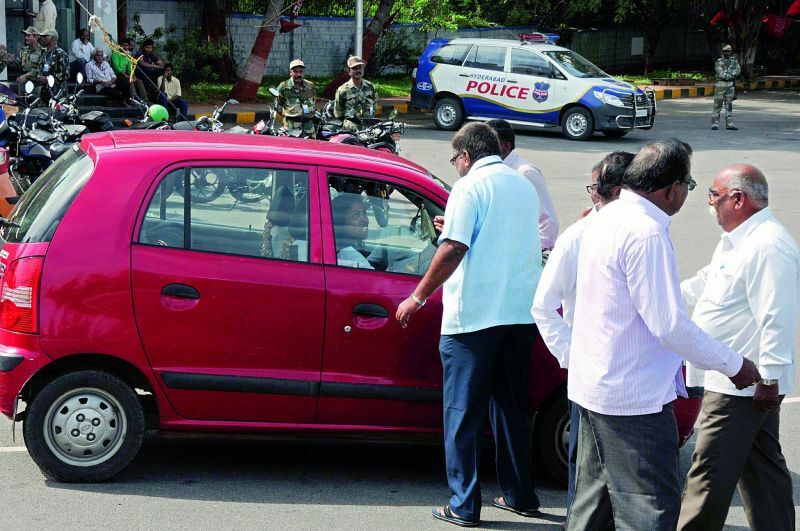 Hyderabad: Friday’s transport bandh was near total in the city. Though many people avoided travel, those who had to take public transport said they had come out in the hope of availing skeletal services. 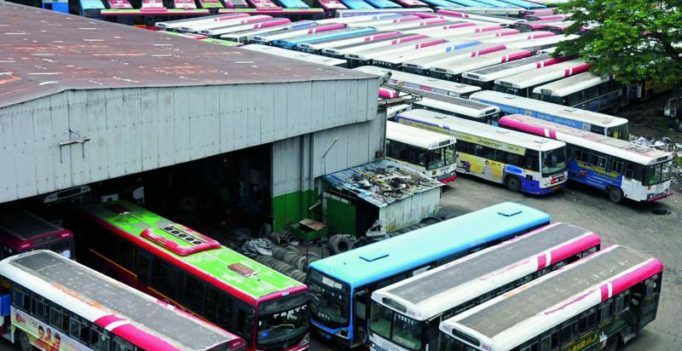 Till about 4 pm, RTC ran only 73 buses of its 10,000-strong fleet, costing the corporation about Rs 11 crore. These buses were operated by staff belonging to the BJP-backed Bharatiya Mazdoor Sangh Union, which did not participate in the strike. Mr G. Gangadhar, waiting for a bus at the Jubilee Bus Station with his wife, said he had taken voluntary discharge from a private hospital after being tested positive for throat cancer. “We don’t have the money to stay at the hospital and were going back to Armoor. We will wait till the buses resume,” he said. Secunderabad railway station in-charge Vincent Paul said city services were jam-packed and 14 special trains ran in addition to the 121 MMTS services. A senior official of state-owned Singareni Collieries said attendance during the first shift was poor as over 90 per cent of staff had participated in the strike. Autorickshaws and cabs were off the roads for most part of the day and Ola and Uber cabs, which were available, did not resort to using surge pricing unlike rain-hit Wednesday. 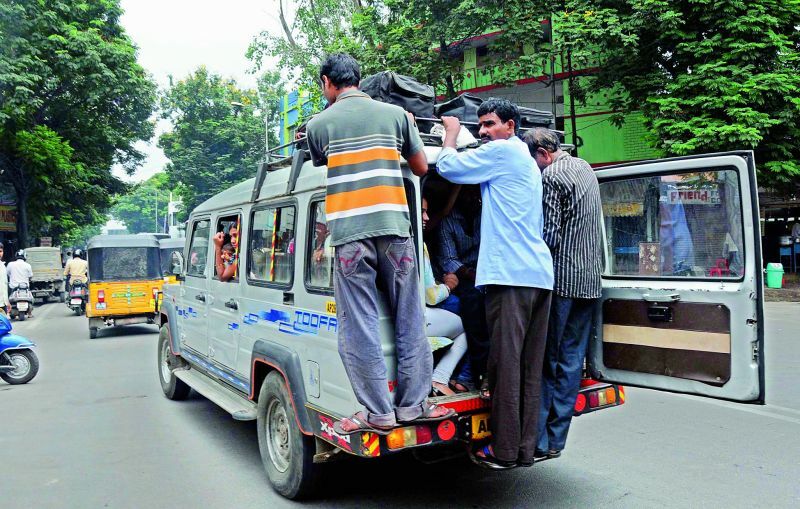 Taxis playing between Hyderabad and other cities, however, charged three times the normal fare. A maxi cab driver demanded Rs 250 per person from Jubilee bus station to Sircilla. Auto-rickshaws that did not participate in the strike demanded up to four times the normal fare while Setwin buses charged 50 per cent extra. The general strike called by major trade unions on Friday resulted in total shutdown in the city and districts. Public transportation came to a halt with RTC buses remaining off the roads. Most banks and commercial establishments also remained closed. Activities in all state government offices were also hit with staff extending support to the bandh and taking part in protest rallies. While some schools declared a holiday, others functioned but without transportation. Cinema theatres cancelled morning and matinee shows and shopping malls remained closed till evening. Theatres, shopping malls, hotels and other commercial establishments resumed functioning after 5 pm. With majority of autos remaining off the roads, people faced a tough time reaching their destinations. Those who arrived at railway stations faced hardships with no buses or autos. Banking operations came to a standstill as over 15,000 employees of various banks participated in the strike. “Though some bank branches were open, there was no activity with the entire staff going on strike. Clearing of cheques was affected,” said Mr B.S. Rambabu, joint secretary, AIBEAP. Nearly 3.5 lakh TS government employees supported the strike by wearing black badges and by staying away from their duties. Government offices too thus wore a deserted look. On-off couple Uday Chopra and Nargis Fakhri to tie the knot in early 2018? Neil Nitin Mukesh joins Rohit Shetty's Golmaal Again cast, gets a musical welcome!